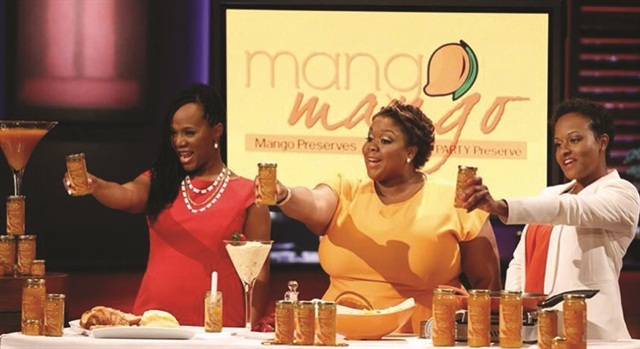 Three friends who pitched their gourmet mango preserves on “Shark Tank” decided to take a share of their profits and open Simply Panache Nail Bar & Pedi Spa in Hampton, Va.
It’s been quite a journey for Lakesha Brown-Renfro, Tanecia Willis, and Nzinga Teule-Hekima — a military spouse, registered nurse, and physician respectively — who pitched their gourmet mango preserves on last year’s season of “Shark Tank” and have seen nothing but success ever since. 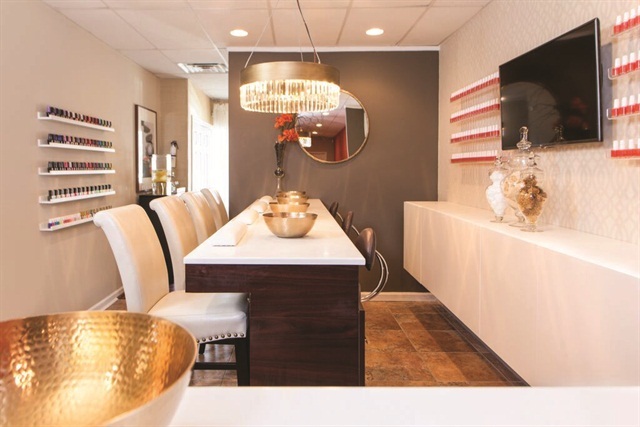 Their most recent venture — opening a nail spa in Hampton, Va. — is no exception. While they didn’t find a partner in the Shark Tank, their company, Simply Panache Products, received 15,000 orders in the 48 hours after the show aired. The preserves are now in Whole Foods and other specialty stores nationwide and are a top seller on QVC. 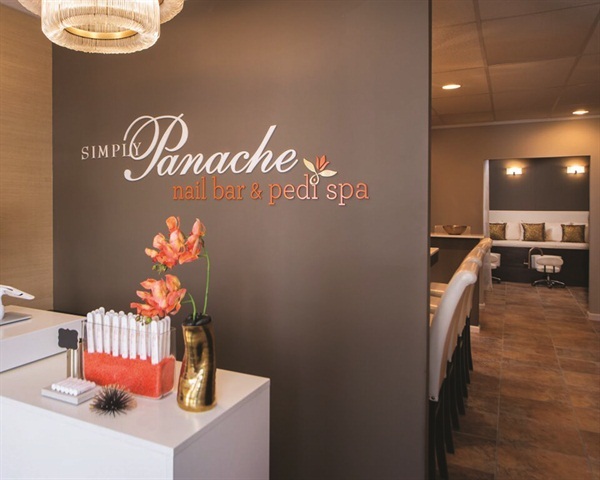 The entrepreneurial trio decided to take a share of their profits and open Simply Panache Nail Bar & Pedi Spa. We asked one of the partners, Lakesha Brown-Renfro, to fill us in on why they decided to go that route and how things have been going since the launch. So why open a nail bar? LBR: We, personally, wanted a place where we could get nail services and experience a high level of customer service and technical skill. Unfortunately we couldn’t find a place that prioritized both. We also wanted a place that placed a premium on sanitation. Ultimately, we wanted to create a salon we would love to go to and share it with the entire Hampton Roads Community. You opened your doors pretty recently. How are things going? LBR: The response has been overwhelmingly positive. We are getting five-star reviews from our customers and they are taking the time to go into very specific detail about what they enjoy about our salon. We are getting a lot of repeat business and word-of-mouth is great. What are your biggest challenges thus far? LBR: Our biggest challenge just so happens to be our biggest blessing, and that is increasing volume. We have an urgent need to hire more nail technicians. We started off with a modest amount of space and a reasonable number of nail specialists, but we are seeing the increasing need to expand our staffing. Our customers have also been very vocal in telling us that we need to expand the actual size of our salon as well. Who designed the decor and what was the goal? LBR: I worked with our designer, Aurielle Jones of Vivid Interiors. I had very specific elements and details in mind, like the nail bar. We imagined friends coming in together — or strangers coming in — and everyone sitting at the nail bar, talking, laughing, and sipping a beverage while they get their nails done. For the pedi spa area, we wanted to create a peaceful, relaxing area where people could just enjoy the rejuvenating and relaxing elements of our pedicures, especially the lower leg and foot massage. How did you go about devising the service menu? LBR: We wanted to focus on the therapeutic aspects of our service offerings, so we use as many natural products as possible. Our custom-made products feature shea butter, coconut oil, cocoa butter, and many different essential oils. We offer a Fruit Smoothie Manicure and Pedicure that changes every month. To usher in fall, we offered a seasonal Sweet Potato Manicure/Pedicure that came with a sweet potato moisturizing masque and a brown sugar scrub. During the planning phase, did you rely on outside experts or go with your gut? LBR: We come from an esthetics background, as we have hair salon owners in our family. We also come from an entrepreneurial background and know a lot about customer service. Still, we did rely on a fair amount of expert advice that came from countless hours of research on salon ownership — everything from types of equipment to polish brands to the best staffing structure. However, I would say that we had a personal guiding principle that has been the backbone of all of our planning: We wanted to create a nail salon where all three of us would be comfortable, with impeccable customer service and technical skills, therapeutic services, rigorous standards of sanitation/disinfection, and an overall pampering and luxurious experience. We knew that if we were looking for all of these elements, our customers would be looking for them as well. For more information, go to www.simplypanachenails.com.